Thank you for visiting our website City Suites Murnau! Our premises include 10 separate units with a total of 40 beds. We have been open for you since December 2018! You have the option to stay with us temporarily having all amenities available just as at home. All units are fully furnished featuring a generous living room with a spacious integrated dining area and full-featured high quality kitchen. We offer apartments with several bedrooms all with en suite bathroom, depending on your requirements there are units with one to three bedrooms per apartment. Each apartment has a separate guest toilet. Our apartments are located on 5 levels. All units are handicapped accessible and barrier-free (threshold maximum 10 mm) and are accessible with our elevator.There is also an underground parking. The ground floor units feature a private patio with direct garden access, and the units in the upper floors feature a private balcony facing south. 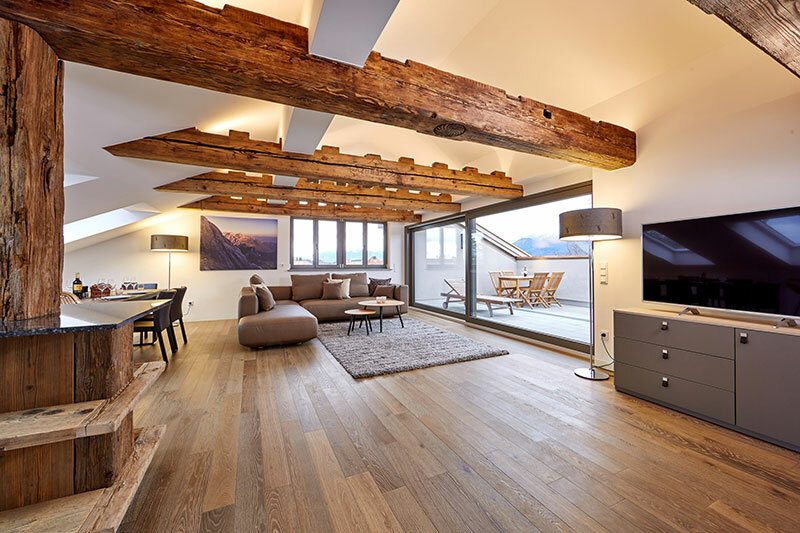 The penthouse units in the top floor offer a stunning view across the entire town of Murnau. When we designed our apartment house we put special emphasis on creating units meeting high and modern standards and sophisticated requirements. At the same time we keep the flair of Bavarian lifestyle and tradition. You will feel comfortable and at home: our interior design features high quality materials ranging from wooden oak floors and natural stone, to specially selected traditional antique woods and wrought iron. 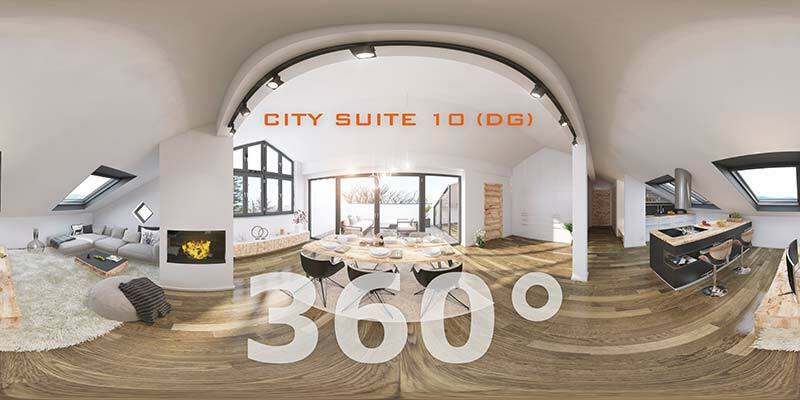 Oliver Hopp – email: info@citysuites-murnau.de.